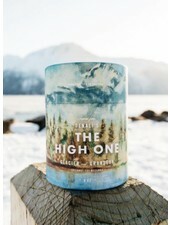 Channel your inner "badass" with this 7oz Grant Teton inspired body soap. Contains activated charcoal for skin detoxification and is infused with essential oils inspired by the mountains. Hand poured in California.